ASUS RTX 2080 Ti Dual GPU The ASUS GeForce RTX 2080 Ti Dual Advanced Edition delivers a completely renewed PC gaming experience featuring Dual 11GB GDDR6 memory for the best resolution. 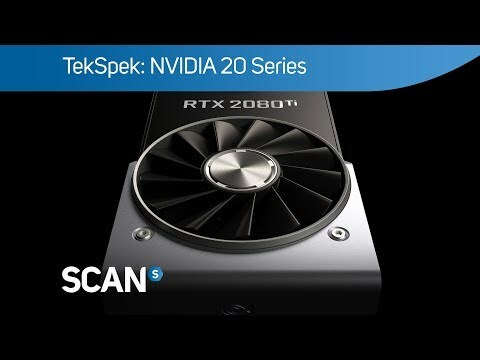 Powered by the new NVIDIA Turing GPU design and the innovative RTX platform, RTX graphics cards combine real-time ray tracing, artificial intelligence, and programmable shading. The GPU boost clock in OC mode guarantees an outstanding gaming performance. Keep things cool with the Wing-blade 0dB Fan, dust-resistant allowing maximum airflow, plus 0dB technology lets fans automatically stop when the GPU temperature is 55 Celsius. 2.7-Slot Design This generation, our top-end cards adopt a 2.7-slot footprint to accommodate a larger heatsink because bigger is better. ASUS have increased the overall surface area of our cooling array by over 50% compared to last gen. If you want to squeeze the most out of the Dual GeForce® RTX 2080 Ti's performance, our latest design gives you a lot more thermal headroom for overclocking. If you're just looking for an amazing plug-and-play experience, the extra heat dissipation keeps your fans running at lower speeds while you game. IMMERSIVE ENTERTAINMENT By combining advanced VR rendering, real-time ray tracing, and AI, the Dual GeForce® RTX 2080 Ti will take VR to a new level of realism. Cable management is much improved with VirtualLink, which utilizes an Alternate Mode of USB Type-C™ to provide a quick, single-cable connection for next-generation VR headsets. Profit from GPU Power Quantum Cloud is a simple and secure service that lets you effortlessly earn extra money by putting your idle GPU to work. Through an easy-to-use app, your computer can help run cloud-based applications, making you money in the process. Earnings are automatically transferred to your WeChat or PayPal account, and your privacy remains intact because no personal data is stored online. Smooth Operator The Dual GeForce RTX™ 2080 Ti Advanced Edition features NVIDIA® G-SYNC™ display technology for the smoothest and fastest gaming imaginable, eliminating screen tearing and minimizing display stutter and input lag. Enjoy the latest first-person shooters, sports and action-adventure games at super-fast frame rates, even at the highest graphics settings!